As the Proform 505 CST is an excellently priced,stable, easy to assemble treadmill, you may as well find out more about it. Getting a treadmill is a great idea as walking is something most of us can do. However, there are days when we really do not want to venture out into the world to do our exercise for the day. On days like that, treadmills are excellent. The Proform 505 CST is an example of a treadmill that can be purchased for the purpose of fitness in the privacy of one's home. The speed of putting it together, its stability, its price and versatility are some of the reasons to obtain this particular treadmill. This article looks at some of the best features of the Proform 505. Having a treadmill delivered to one's home is easy enough to arrange these days with the abundance of shops and fitness websites. Assembling the treadmill can often be the sticking point. The Proform 505 CST is surprisingly easy to put together as detailed by quite a few reviewers on Amazon and Walmart websites. It seems to take anywhere from sixty minutes to two hours, dependent on the person doing the work. Pretty simple for most people, you will agree. 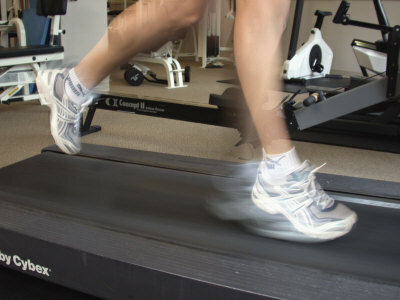 A treadmill is used to walk or run on, this means it needs to be fairly stable and upright in order to bear the continuous jolts of a human being's weight as he or she runs fairly heavily. This treadmill has been noted to be particularly stable, even though it has a fairly shallow cupholder. It holds your drinks and your body without too much trouble. Buying treadmills for use at home can be an expensive affair. The Proform 505 falls into the lower priced models when you consider only the price. However, though it is budget priced, its effectiveness is considered by most to be pretty good. 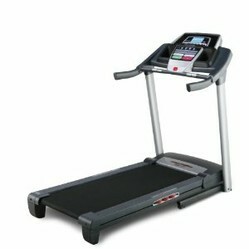 Finding a treadmill that meets your needs while being priced excellently can be difficult. This is apparently an exception. Thinking of workouts to perform when you do your exercises can be a bit of a 'hit and miss' affair. The provision, by this treadmill, of fifteen built in workouts is particularly helpful. This means you have at least 15 different ways to exercise whenever you step on to the proform 505 cst. There is no doubt you will find something to occupy you. The Proform 505 CST is versatile, stable, excellently priced and simple to assemble. These are four of the features that make this one of the bestselling treadmills available on places Amazon. It will surely add an element of focus to your exercise regimen.